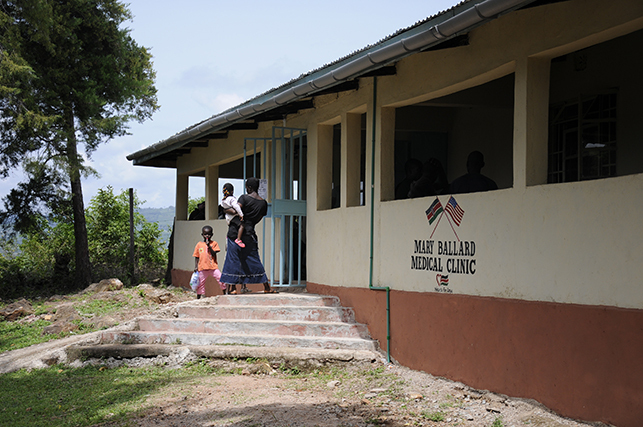 Opened in June 2014, the Mary Ballard Medical Clinic provides consistent, quality medical care to the Amani community and a source of income for its staff. Digital record-keeping abilities provide a vital service, enabling the medical staff to better diagnose and treat patients. Early in the process to establish a health clinic at Amani, Hearts for Kenya formed a committee of local community members to lead the development. Committee members reviewed plans to ensure they fit the local culture, and also set appropriate fees for the clinic’s services. These reasonable fees will eventually cover staff salaries and building upkeep, making this a self-sustaining clinic. 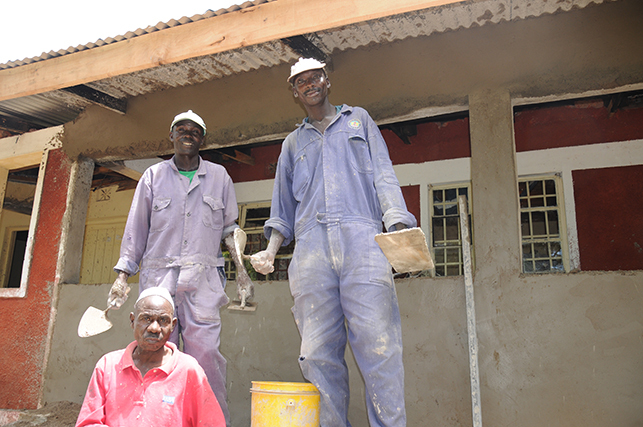 Over the next year and a half, Hearts for Kenya worked with local builders and volunteers to turn a dilapidated duplex into a working clinic. The facility includes three exam rooms, two lavatories, an office, pharmacy and lab. Outside, giant tanks collect rainwater to provide running water throughout the clinic. Although the building is complete and the clinic is in use, the Kenyan government stipulates that the ceiling must be replaced before the clinic can be certified. 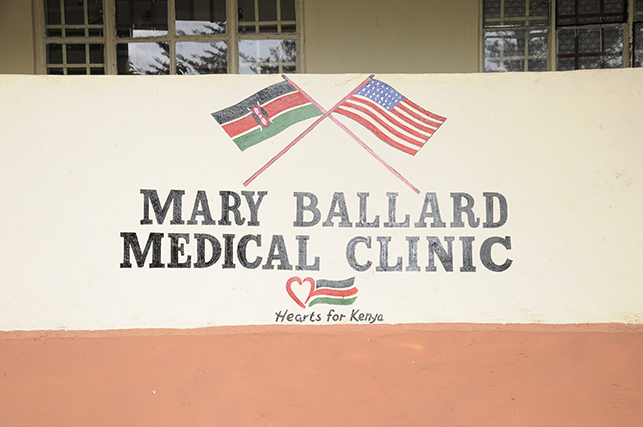 As a government-certified clinic, the Mary Ballard Medical Clinic will be able to receive medicine and vaccinations from the government at no cost. Until then, the clinic will continue using the money generated by fees to pay for the medicine. 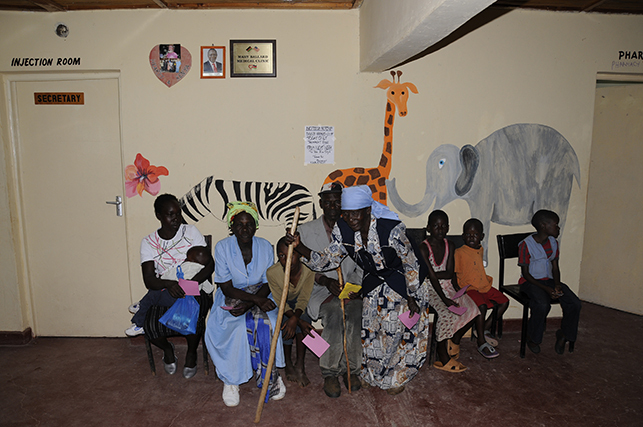 Since its opening in June 2014, the clinic has been open four days a week, seeing about 20 patients each day. Typical ailments include cuts, scrapes, malaria, GI issues and respiratory disorders. For more serious maladies, patients are sent to the Oyugis hospital, about five miles away. In Kenya, health clinics are generally run by certified nurses. In 2008, a local man named Jacob Tindi approached Hearts for Kenya and asked if we would send him to nursing school, with the promise to come back and serve the local community. 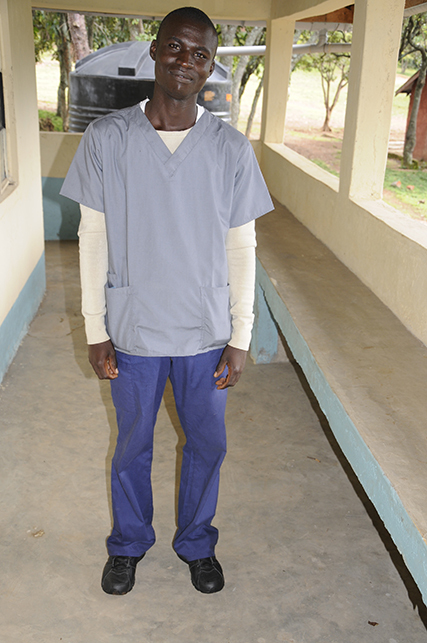 We agreed, and today Jacob serves the people of Amani as the clinic’s nurse. 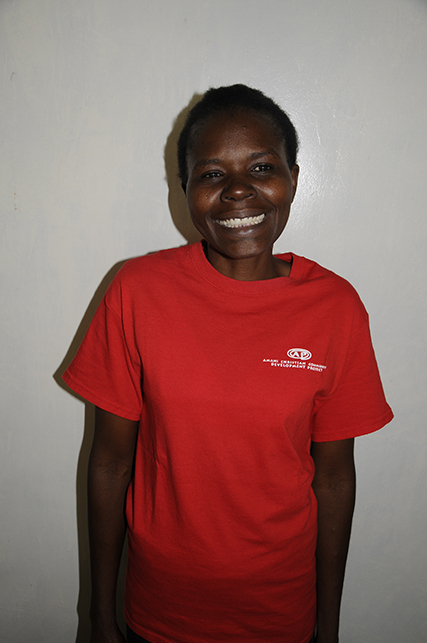 An Amani resident and longtime friend of Hearts for Kenya, Rachael Oglia serves as the clinic’s receptionist and triage person, along with managing all the computer records. Currently, Rachael and Jacob also do the duties of the clinic’s lab techs and janitors – positions that will be filled by other local people when the clinic’s fees begin to generate enough income to pay for their salaries. Over the next few years, it is the goal of the Mary Ballard Medical Clinic to use solar energy (collected by solar panels on the roof) to power the building’s lights and equipment. We would also like to purchase a motorized scooter for Jacob, enabling him to make house calls. In continuing the mission of delivering better healthcare to the community, we plan to organize volunteer health provider teams to visit Amani twice a year. These volunteers will treat patients, as well as conduct community seminars on topics such as hygiene, nutrition and family planning (an initiative supported by the chief, but new to most community members). One Response to "Health Clinic"